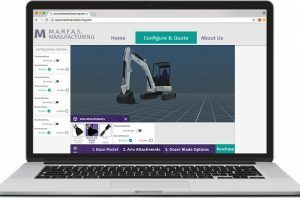 Expanding your reach and enabling your customers to configure your highly engineered and manufactured products through the Atlatl Visual Configurator on your very own Website! ATLATL Software which offers the QuoteBooks Cloud, CPQ and Visual CPQ products geared towards the unique manufacturer and distributor relationship, announces a new product offering: bCommerce Visual Configurator. 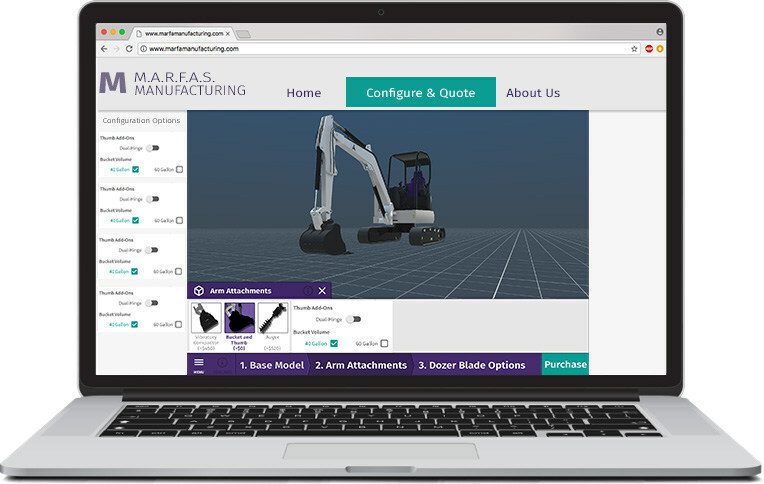 Building on the success of their manufacturing-specific Visual CPQ platform, bCommerce gives users access to Atlatl’s 3D Visual Configurator from their web browser. “The dramatic change in the consumer experience has driven a power shift in the B2B buying experience. Retail giants like Amazon.com and Walmart are redefining consumer expectations and the trends show that manufacturing customers will follow. We developed the Atlatl bCommerce product to put the power in the manufacturing customers hands and create a unique buying experience to help manufacturers reach more customers than ever.” says Jennifer Letourneau, Director of Product at Atlatl Software. Buyers can now interact with dynamic product selection from manufacturer’s websites and pass those selections on to sales reps in real time. Customer and configuration information in Atlatl’s bCommerce is captured in the QuoteBooks Cloud giving sales teams access to customer’s needs and lightening fast quoting. bCommerce combines access and ease of use with engineering integrity, empowering sales teams to sell complex manufactured products. “bCommerce gives manufacturers and their dealers the capability to sell complex manufactured products with the ease of use and visibility demanded by buyers” says Atlatl CEO Marc Murphy. Manufacturers work with the Atlatl Team to define their manufactured products artwork and rules to create the interactive configuration experience used by their sales channel. New Atlatl customers can choose to deploy configurators with Atlatl’s current mobile-based app, Visual CPQ web based application, or the new bCommerce offering. Atlatl Customers with a Visual CPQ configurator simply work with the Atlatl Team to define their expectations and deploy the same experience on their website with bCommerce. Atlatl’s fully integrated QuoteBooks Cloud is the only platform built specifically for the manufacturer-dealer/distributor relationship, combining interactive 3D configuration with CPQ functionality to create a manufacturing-specific sales ecosystem. Manufacturers can easily manage and support distributed sales channels and Dealers have efficient and accurate tools to quote and sell.